Mash’Ems Launch Into Action with Fist Flyers! Launcher safely catapults the Mash’Ems into the air, knocking down targets up to 20 feet away! Top licenses for this fall include; Marvel Avengers, Teenage Mutant Ninja Turtles, Power Rangers and the WWE. Also, new are Fashem’s! Soft, squishy, fashionably fun characters for girls to collect and dress up! Features some of the top licenses for girls including My Little Pony and Hello Kitty! For more information please visit www.fashems.com." When Savannah is using the iPad, she always ends up watching these videos on YouTube that show people opening surprise eggs or other toy capsules with items inside. There is something about the anticipation and wondering what is inside each container that excites her. If we let her, I know she could sit and watch these videos all day long. And, I know I am not alone, as most of these videos of adults (usually) making these vidoes are viewed by tons of people. One recent video that Savannah was interested was one that showed the new Mash'Ems and Fash'ems from Tech 4 Kids. Inside each toy capsule is a super squishy toy of some of your child's favorite characters, including Buzz and Woody from Toy Story, Mike and Sully from Monsters Inc. and even Nemo. These are just some of the many Mash'ems available now at stores. In addition to these Mash'ems, you can also find Angry Birds, Disney Planes, Teenage Mutant Ninja Turtles and even Furby Mash'ems, just to name a few, to collect and play with. While the Mash'ems series is geared more towards boys with the cast of characters they offer, Fash'ems are available for girls who love My Little Pony and Hello Kitty. 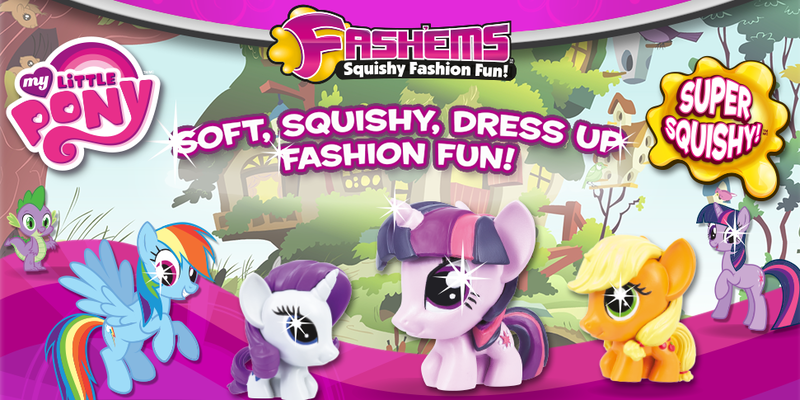 And, unlike the Mash'ems, the Fash'em come with little extras like dress up outfits for Hello Kitty and the ponies. 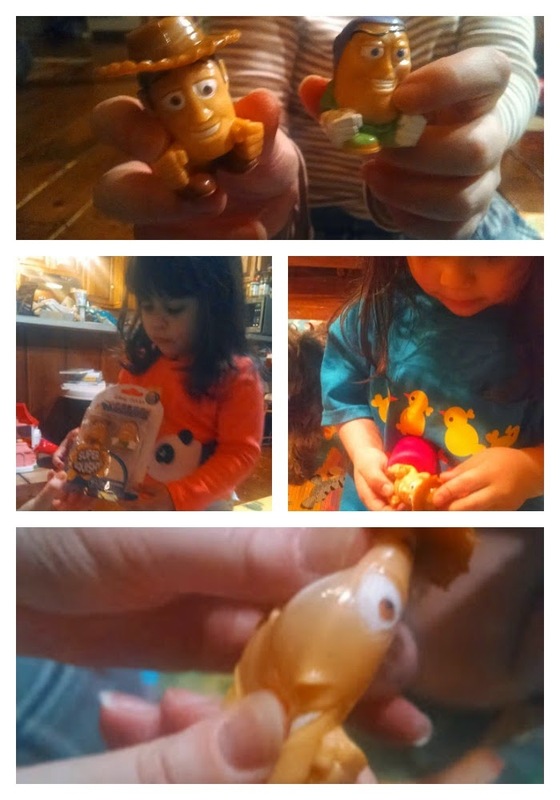 Thanks to the kind folks at Tech 4 Kids, who make both the Mash'ems and Fash'ems, I was sent a sampling of these new collectible toys for the girls and I to review. I was hoping to save a few of the Fash'em ponies to add to Savannah's Easter basket, but as soon as she saw them, she couldn't wait to open and play with them, along with Bella. 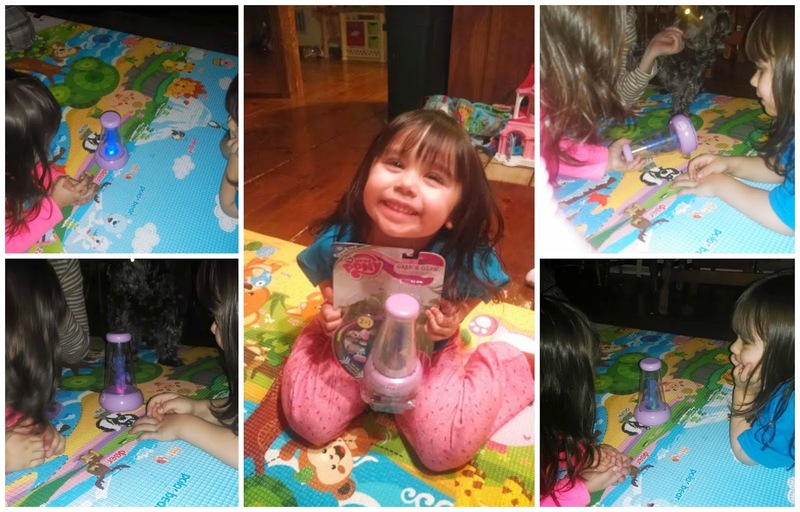 Usually each night after dinner, my husband and I will do a craft, play a game, or try out a new toy/product that I was sent to review, with the girls. After the girls saw the sampling of Mash'ems and Fash'ems I was sent earlier in the day, they couldn't stop talking about them at the dinner table to my husband. Even though they hadn't physically held them, the way they were both describing these collectible squishy toys, you would think they had. So, I surprised the girls by letting them open and play with them. Bella went straight for the Woody and Buzz Mash'ems. I wish you could have saw her face the firs time she held and squeezed them. Savannah, on the other end, went straight for the My Little Pony Fash'ems. Of the 5 ponies that make up the My Little Pony gang, I was sent Rainbow Dash (Savannah's favorite) and Pinkie Pie (her 2nd favorite pony), along with Fluttershy. 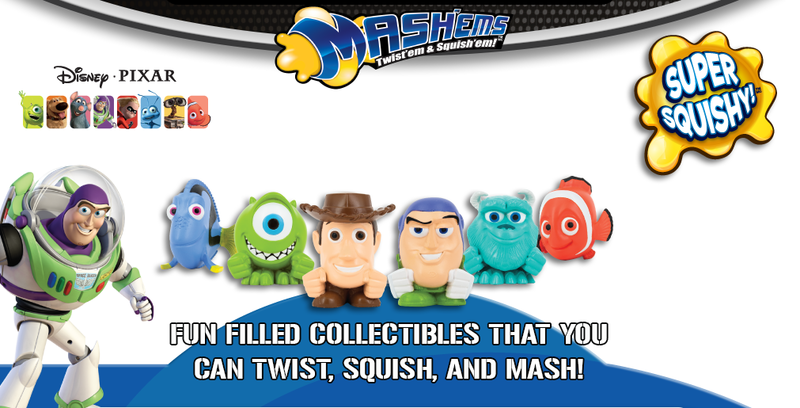 In addition to the 2-packs, you can also find individual toy capsules of the Fash'ems (and Mash'ems) in stores, as well as the complete set of each licensed toy line. Shh, don't tell Savannah but I ended up finding the complete set of the MLP Fash'ems and plan to fill some of her plastic Easter Eggs with them as a surprise. Unfortunately, I was not sent any of the Hello Kitty Fash'ems to review. I have shared in the past that I grew up loving Hello Kitty and now Savannah is a fan of the iconic comic book character. In addition to MLP toys and memorabilia, she also has an extensive Hello Kitty collection. I am still looking for the Hello Kitty Fash'ems in stores. But, I can't find them, I know they can be ordered through the Toys R Us online store, as well as at Amazon. And, if these super squishy collectibles aren't enough to get your kids smiling and giggling, don't forget to check out the other amazing toys available from Tech 4 Kids. Seeing that Savannah LOVES My Little Pony, her day was made when I surprised her with the My Little Pony Grab' N Glow Spotlite. This is not just any glow light -- oh no. It has a color changing pony in the center of the dome, and when your child pick the night light up, it becomes a flash light, to help guide them to their room or bathroom in the middle of the night. The motion activated light changes from night light to character light automatically when picked up or put down on a table. Visit the Tech 4 Kids website to learn more about their Mash'ems, Fash'ems, Grab' N Glow Spotlites and other cool toys for kids of all ages -- http://www.tech4kids.com/. These toys make for great Easter basket fillers, especially the Mash'em and Fash'em capsules, which your children will love collecting and playing with.